Adjustment of cage and beater shaft speed by means of inverter. 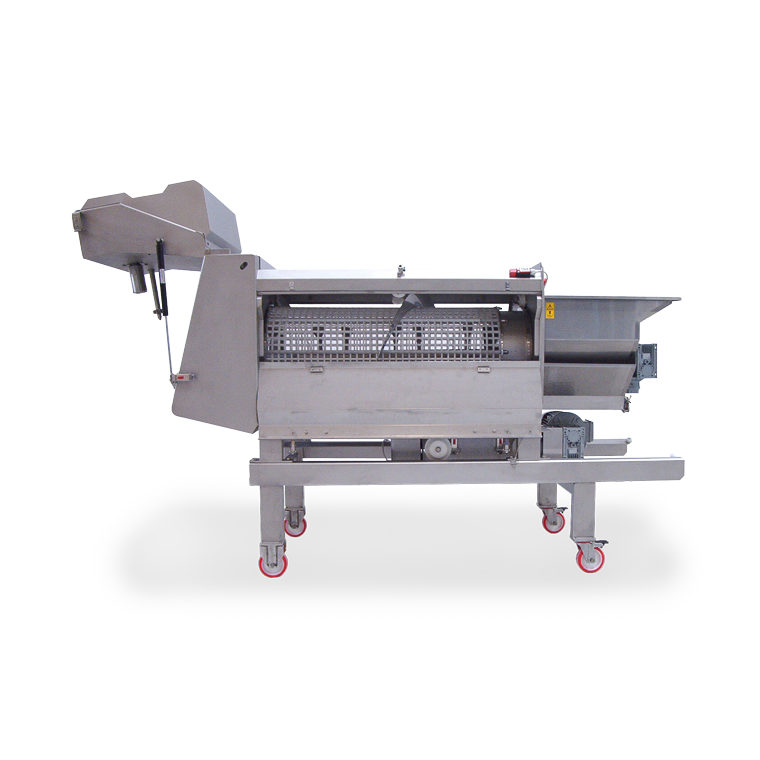 Easily adjusted and removed roller unit made of food-grade rubber for soft crushing of grapes. Mechanical structure designed to allow removal of drive unit within a few minutes, plus horizontal or vertical removal of both the beater shaft and cage. The result is easy cleaning and maintenance. Replaceable cage and destemming beater. 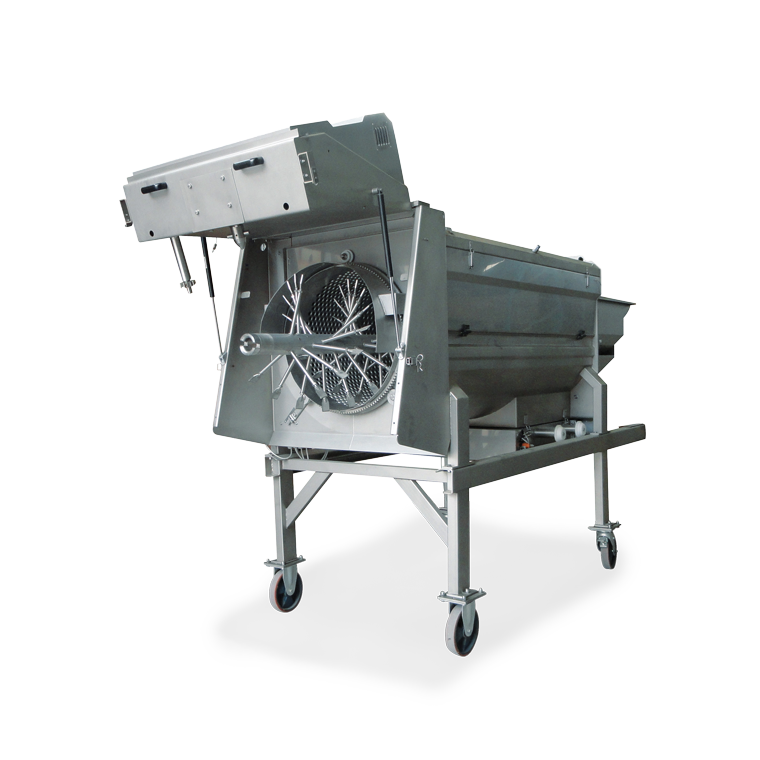 Feeding by means of chute or draining hopper or directly flanged to the feeder/conveyor. It can be installed in small pits. 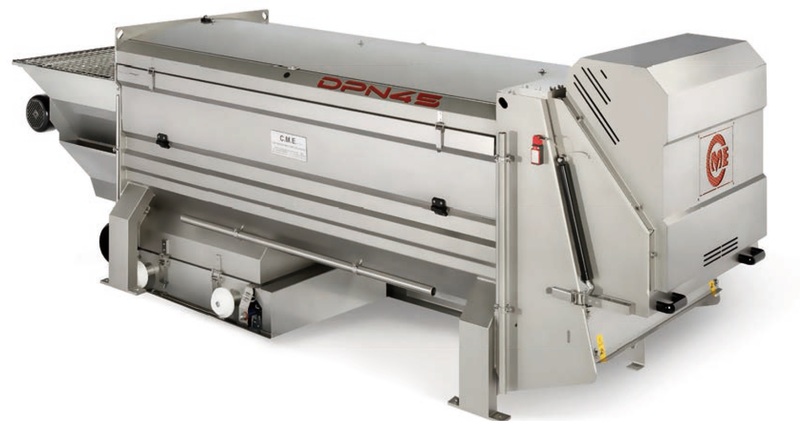 It can be fitted with single screw pump with hopper or just a must-collection hopper provided with fitting for connection to an operated electric pump. Possibility of adjusting distance between the ends of the grape shredder blades and the cage by the cage offset. 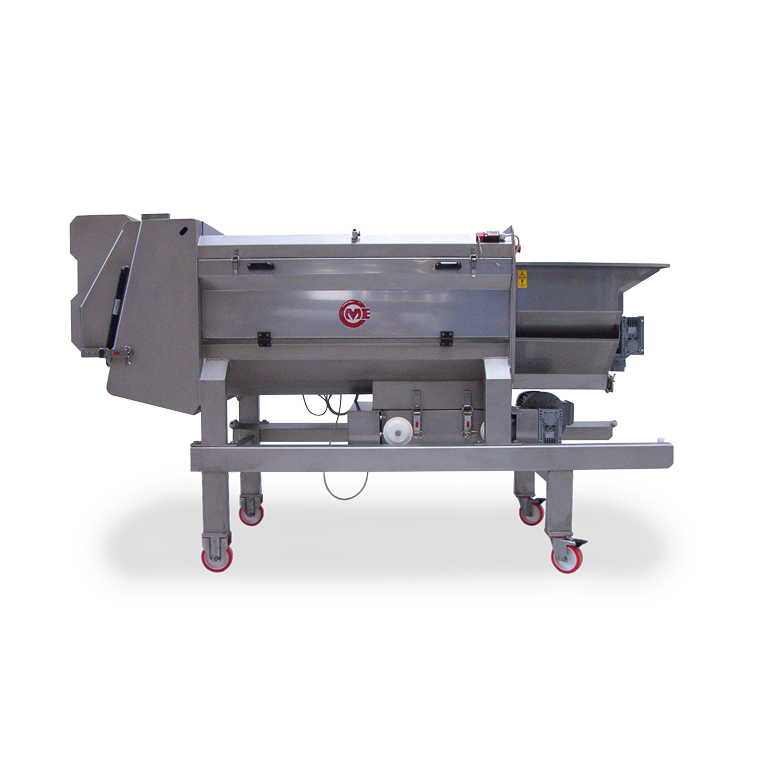 These two adjustments allow separation of both manually and mechanically harvested grapes to be optimized.